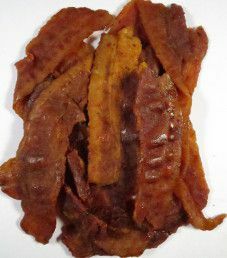 The next review on Savage Jerky Co. will be on a 2 ounce/56 gram bag of their maple buffalo bacon flavored bacon jerky. This bag was kindly submitted for review by the Savage Jerky Co. team. In 2013, the owners Brad and Michelle Summey took a road trip with some friends. Disappointed with the same old jerky selection available on the way, they decided to launch their own jerky company. The Savage Jerky Co. brand name was launched in 2014, where they are located in Lawrenceville, Georgia. Today, they carry nine different flavors, where the emphasis is on using good ingredients. 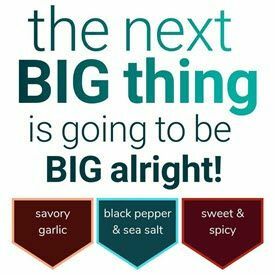 Ingredients: Bacon, Hot Sauce (Aged Peppers, Distilled Vinegar, Water, Salt, Garlic Powder), Lime Juice, Brown Sugar, Maple Syrup, Vinegar, Sea Salt, Spices, Natural Hickory Smoke, Black Pepper. 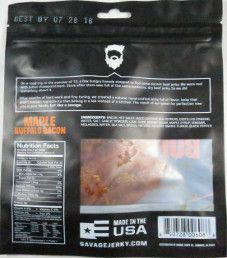 While the bacon ingredient list is not broken out on this bag, based on another bacon jerky flavor at Savage Jerky Co., they use a surprisingly good ‘natural bacon’ ingredient list. 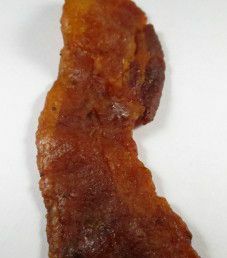 It is uncommon to see no sodium based preservatives used in bacon. The liquid marinade is comprised of a good hot sauce, healthy lime juice, maple syrup, and healthy vinegar. Maple syrup offers many health benefits, but should be eaten in moderation, being a sweetener. Considering that a maple based flavor is sweet by nature, the sugar level is acceptable at 5 grams of sugar per 28 grams of jerky. The salt level is quite high at 830mg of salt per 28 grams of jerky, although bacon jerky uses more salt compared to beef jerky. Kudos to Savage Jerky Co. for having no sodium nitrite, or any other similar unhealthy preservative. Further kudos in that there is no MSG added. These are for the most part the same sized slices of bacon that you would buy in any store. They are sliced to a medium, almost thin thickness. This texture could almost qualify for a soft and tender texture, but not quite. As with all bacon, there is a considerable amount of oily residue left on your fingers while handling these bacon strips. The first taste detected is the actual bacon flavor itself. It does not take long for the spiciness to set in. On a heat scale, it levels off at about a 2 out of 4. There is a moderate sweetness, and the maple syrup flavor is at at a light level. A mild tang from the vinegar and lime juice both help offset the heat to a certain degree. Overall, this is a very flavorful and enjoyable flavor that leaves you wanting more. This 2 ounce/56 gram bag sells online for $7.99. That works out to $4.00 an ounce, which rates as an expensive price. This jerky is highly recommended as worth your money for bacon jerky lovers out there, where it does not disappoint. This is a standard sized resealable bag. Everything is imprinted directly on the bag, both on the front and the back. 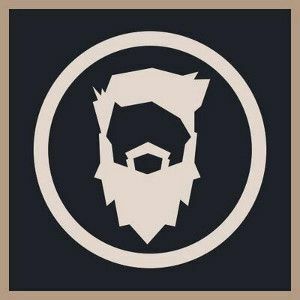 The Savage Jerky Co. logo is a silhouette of a bearded man (savage). Their slogans are “Hand-Crafted”, “Small Batch”, and “Eat like a savage”. The flavor is described as “Buffalo Sauce Infused”. The only minor bag category missing is the jerky weight not being stated in grams. 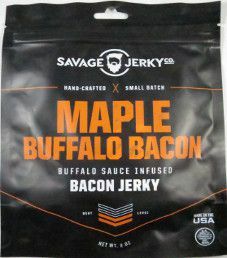 There is a great blurb printed about Savage Jerky Co., and how Brad and Michelle started their own jerky company.